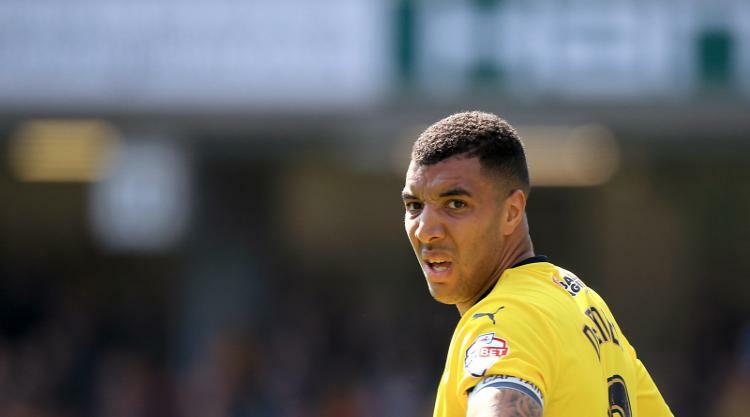 Troy Deeney will serve a four-match suspension after Watford failed in their appeal to overturn his red card against Huddersfield. Deeney, who was given a retrospective three-match ban earlier this season for an incident with Swansea's Joe Allen, was dismissed following a wild lunge on Collin Quaner in the first half of Watford's 4-1 home defeat to Huddersfield on Saturday. The Hornets lodged an appeal with the Football Association against captain Deeney's dismissal, but revealed on Tuesday that they had been unsuccessful. Deeney will now be unavailable for Watford's Premier League matches against Brighton, Leicester, Swansea and Manchester City over the festive period.